Just as you service your customers’ TPMS sensors at the start of winter, you should also be inspecting them and talking to your customers about their sensors come springtime. Make sure you explain not only the benefits of TPMS sensors, but also the importance of the sensors and regularly checking their tire pressure. 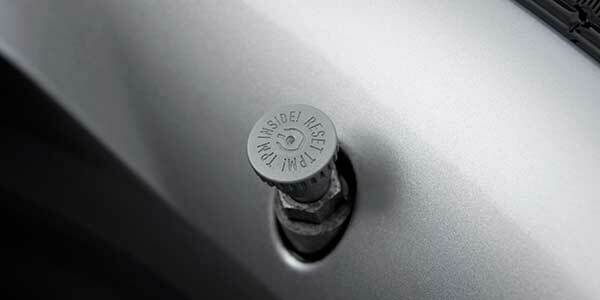 Depending on where you and your customers live, winter corrosion of valve stem-style TPMS sensors is a real threat. Specifically, corrosion is causing retaining nuts to split, causing sensors to drop into the tire, and creating a potentially catastrophic situation. In other cases, corrosion is attacking the sensors’ innards, rendering them useless. Corrosion normally occurs where the valve stem wall thickness is the thinnest — around the valve cap and valve core region. Metal caps and brass, or improperly nickel-plated cores, are usually the culprits. What is the best way to prevent corrosion from causing air loss or a damaged sensor? Replace the service kit every time a tire is replaced. Some shops will ignore servicing TPMS components altogether for fear that they may damage the sensor. But, they are doing more damage by ignoring them and leaving a worn out seal or partially corroded components on the valve stem that can later fail and cause air loss or result in a complete sensor replacement. For the same reason that a standard rubber valve stem is replaced when new tires are installed, the service components must be replaced to keep the valve stem sealing in the rim and prevent corrosion from damaging the stem. In addition, if your customer is coming in to swap out their winter tires for their usual set, it might require a system relearn on their sensors, depending on if they opted to buy a second TPMS sensor set for their winter tires or not. What this means is that if a customer comes in asking you to disable their TPMS sensors or not repair them in order to save money on maintenance, it’s essentially illegal for you to abide by this request. So, always advise your customer to bring their system back to working order, but if they still refuse, have them sign a repair order stating as such, or you can refuse to service that customer all together — although that would be an extreme case.